Weather Proof, Spill Proof, Bull Proof, Wind Proof, Portable, Durable, Economical, Versatile and Dependable. Possibly the last mineral feeder you will ever buy! 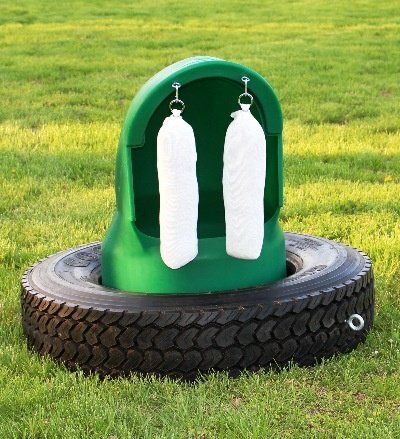 Can be used by calves as young as 3 weeks old to mature bulls. 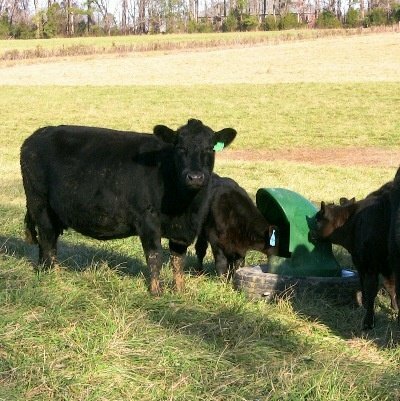 When is the last time you saw a calf using your mineral feeder? Weather Proof - The overhang design and side opening prevents blowing rain and snow from entering the feeder. Even with the opening facing towards prevailing winds. You do not need to face the feeder a certain direction to keep rain and snow out. 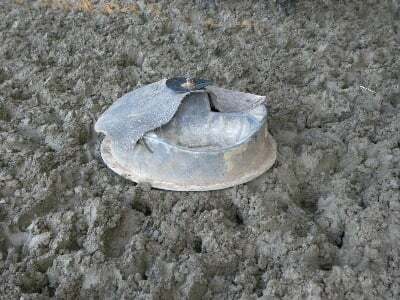 It does this because wind blowing into the feeder hits the back of the feeder and blows back out keeping rain and snow from entering, similar to a shed with three sides. Spill Proof – Stop pouring money on the ground. 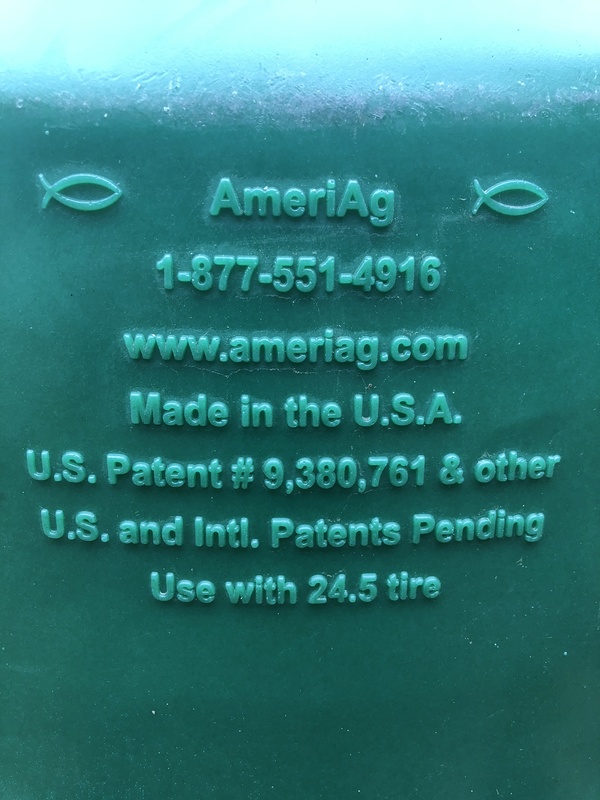 The weight and friction of the tire combined with the durability of the polyethylene feeder make it virtually impossible to be turned over by livestock, including mature bulls. Wind Proof - Side entry prevents wind from blowing away salt/mineral. Saves Money - Minerals are expensive yet essential to livestock nutrition and performance. Don't let mineral waste increase your cost. 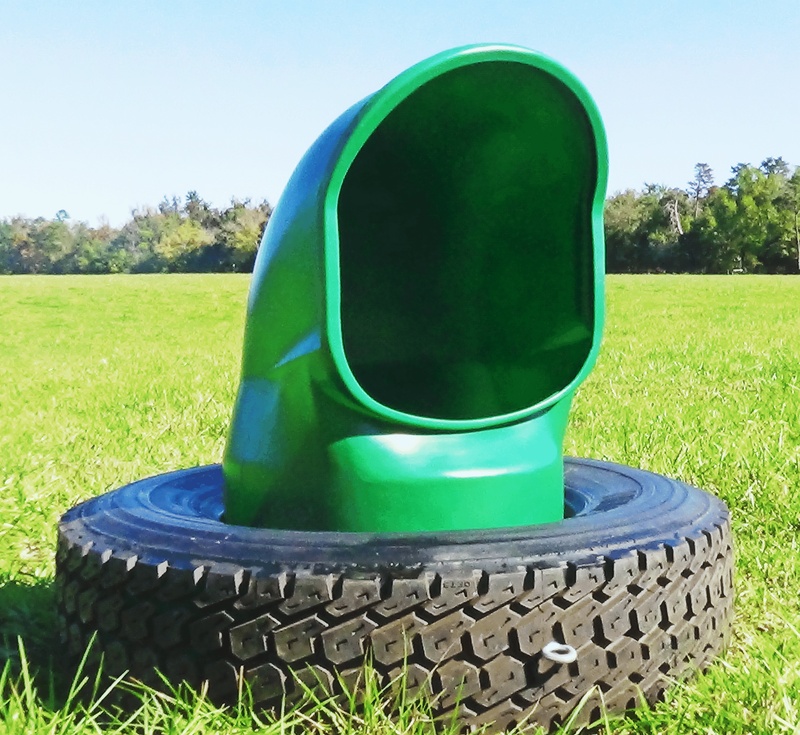 Portable – The most portable feeder on the market. 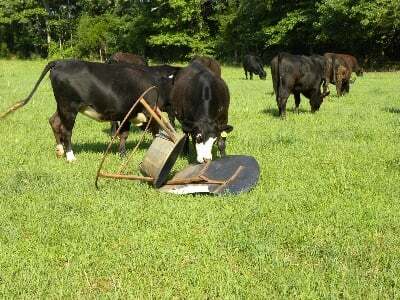 Rotational Grazing, (MIG) Management Intensive Grazing, and Mob Grazing require frequent movement of livestock. 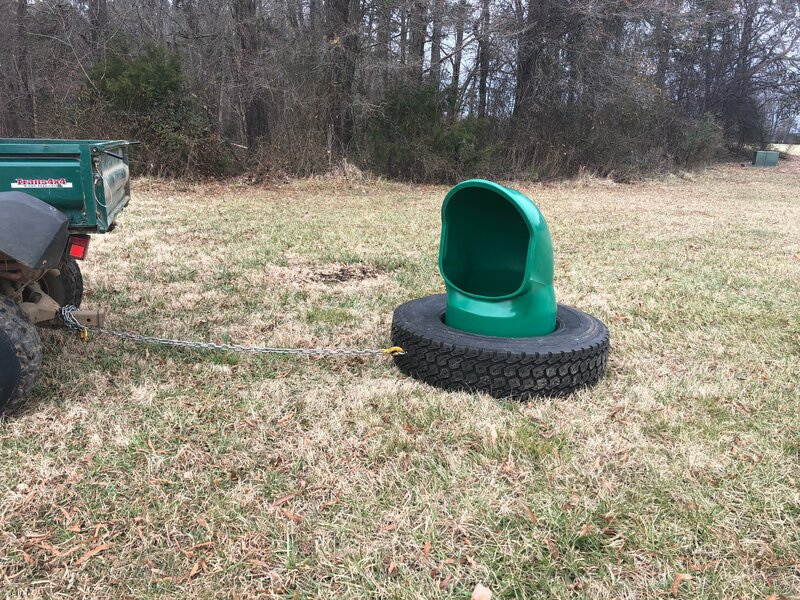 The feeder can be moved effortlessly with an ATV, Truck or Tractor. Simply hook a chain to the galvanized eye bolt (included) and drag the feeder from one pasture / paddock to another. Frequent feeder movement also prevents pasture damage during wet weather. The stability of tire prevents turn over when dragging. Economical - Priced competitively and in most cases less than feeders that will not last anywhere near as long. Feeders as tough as your livestock. Long Life – With the exception of the galvanized metal eye bolt there are no metal parts. The one-piece design of the feeder provides strength and durability. There are no parts to rust, rot or break, making it virtually maintenance free. Possibly the last mineral feeder you will ever buy. High Capacity – The 2.45 model can hold up to 250 lbs. of mineral and the 22.5 model can hold up to 225 lbs. Beneficial and economical for producers with large herds as it lengthens time between refills. Color – The hunter green color of the feeder with built in ultraviolet inhibitors prevent damage from the sun. It blends in well with the surrounding landscape. Environmentally Friendly – When used in conjunction with a used 22.5" or 24.5" rim size tire, it prevents a tire from entering our landfills. Versatile – Use for all types of livestock; cattle, horses, sheep, goats, and alpacas. 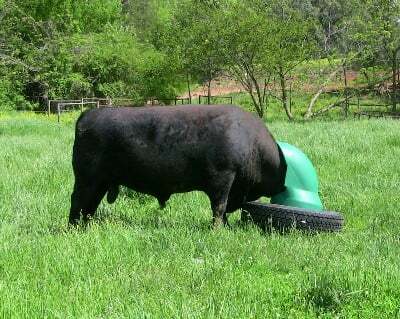 Recommend 1 feeder for every 35 head of cattle. Warranty – Full 3 year replacement warranty. Livestock are Tough. Is your feeder? Make the switch to a feeder that actually works and lasts. Can be used by mature bulls. Try this with your typical feeder. on concrete, asphalt or other paved surfaces. Can be used with insecticides. For economical and dependable face fly control. Note: A 22.5 feeder requires a 22.5" rim size tire. A 24.5 feeder requires a 24.5" rim tire. Tires are not interchangeable between feeders. Make sure to use the correct size tire. 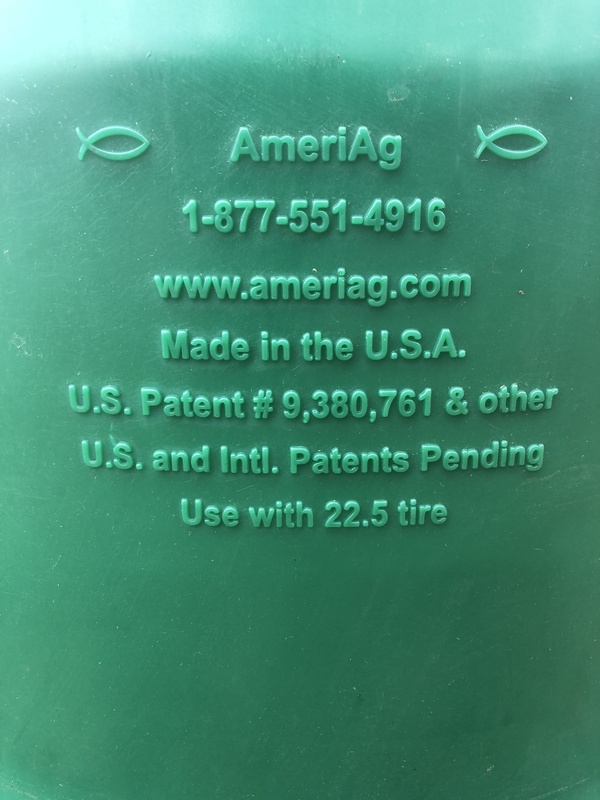 Refer to back bottom of feeder for correct tire size. Step 1 - Obtain used 22.5" or 24.5" rim sized (tractor trailer) tire. Used tires should be available for free or little charge from tire dealers. Condition does not matter just ensure there is no visible steel belting. Step 2 - Install galvanized eyebolt with washer and nut on inside of tire. 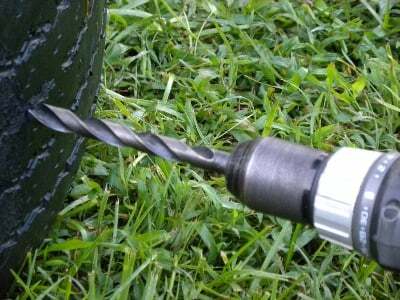 Step 3 - Drill 1/2" drain holes approximately 3" apart into the side-wall of the tire (side that will lie on ground). This will allow water to drain. Step 4 use. 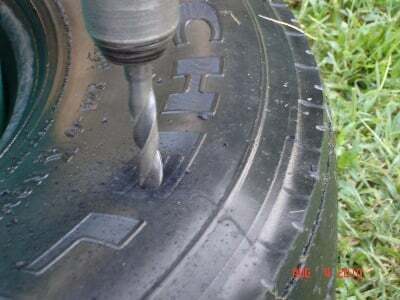 - Turn tire on edge and insert top of feeder into hole in the center of tire. Flange on bottom will prevent feeder from passing through tire. 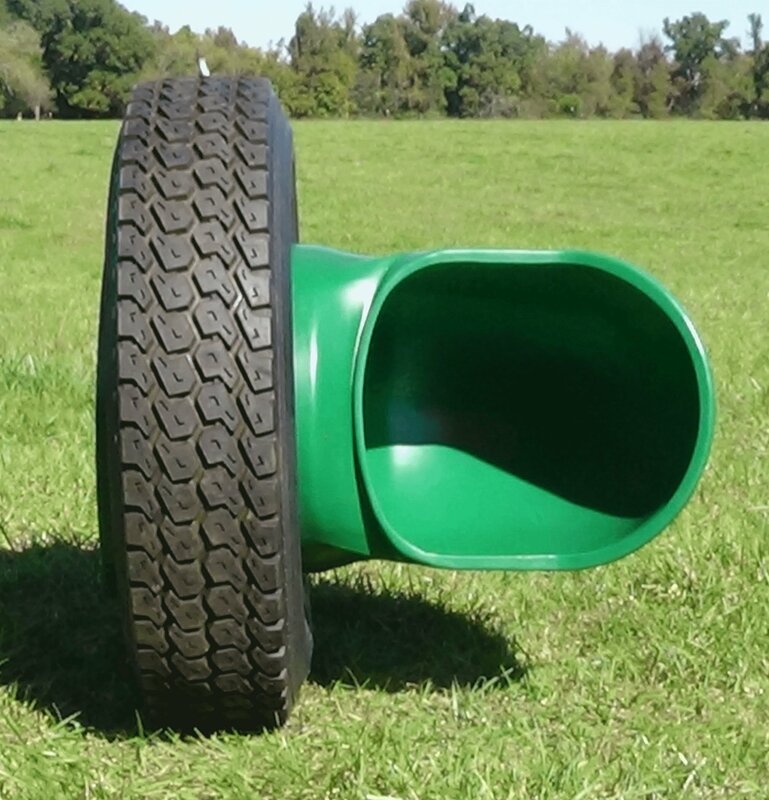 Lay tire and inserted feeder on ground ready to use. You Tube video on assembly directions.